Mixing chia seed with water, and allowing it to rest, creates a gelatinous texture that works well in place of eggs in baking. Flax seed meal will also work well for this substitution. I discovered through my research that the two most common egg substitutes for vegan baking were either flax or chia eggs. Each of these is made by measuring out a tablespoon of either ground flax seed of chia seeds and mixing it with 3 tablespoons of water and allowing it to sit for a few minutes. For my fist attempt at vegan banana bread, I chose to use “chia eggs.” Since my recipe required two eggs, I placed two tablespoons of chia seed into a mason jar and added six tablespoons of water and mixed well. After a few minutes, the mixture had become thick and slimy and reminded me of the sliminess of egg whites. Vegan Banana Bread batter ready for the oven. Once my “chia eggs” were prepared, I proceeded with the rest of the recipe but I made one other change. I added a tablespoon full of oil because I was thinking that eggs contain fat, and I completely disregarded the fact that the chia seeds also contained fat. The recipe would probably work fine without the additional oil, but since that’s how I’ve actually tested it, that’s what I’m listing in the recipe below. 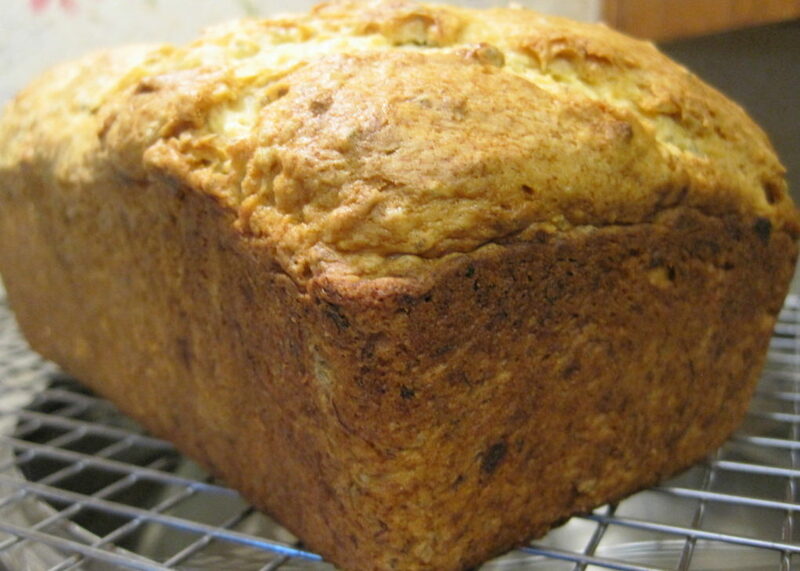 The banana bread was perfect, except Baker’s Man, who doesn’t like poppy seed muffins, wasn’t appreciative of the chia seeds in his banana bread. Next time, I will use flax seed meal. Bus Boy, on the other hand, loves poppy seed muffins, so he loved this bread. There were some subtle textural differences between my usual banana bread and this vegan version. 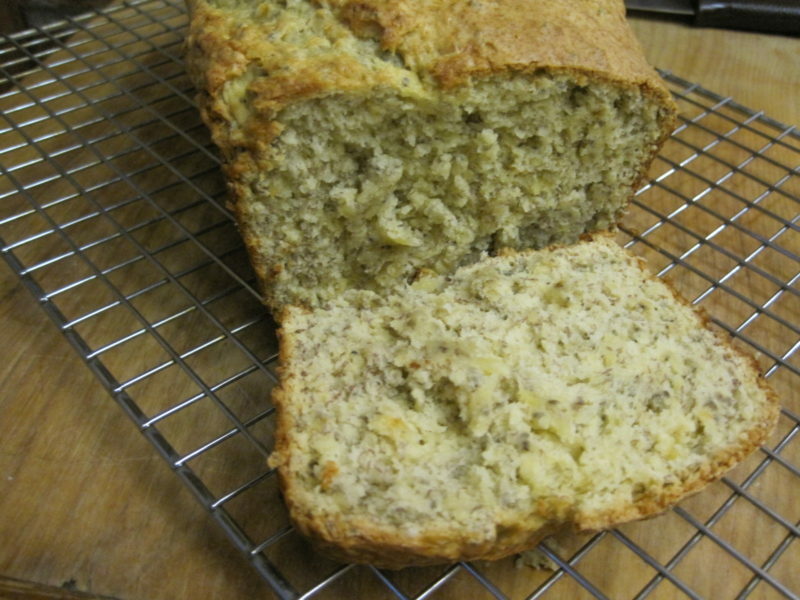 The vegan bread was more moist, and there was the texture from the chia seeds. Otherwise, there was no discernible difference. 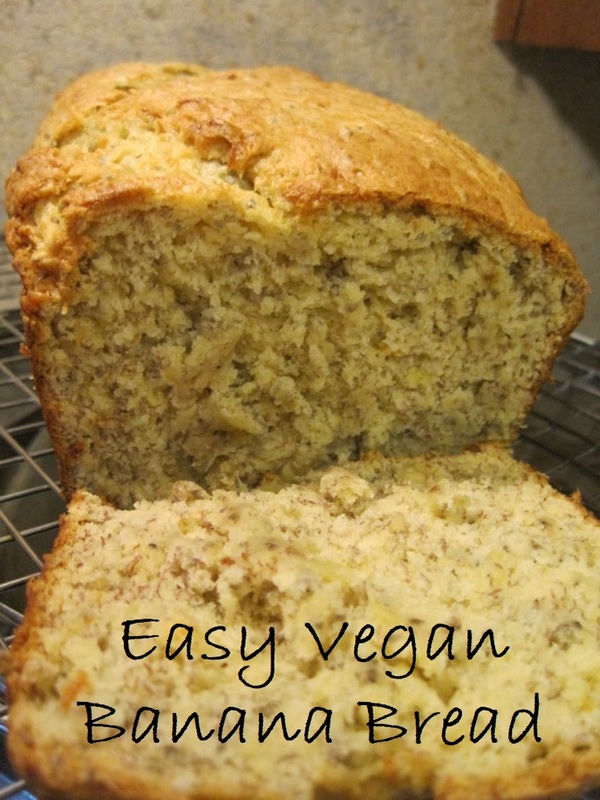 Give our recipe for Vegan Banana Bread a try and let us know what you think by leaving a comment below. 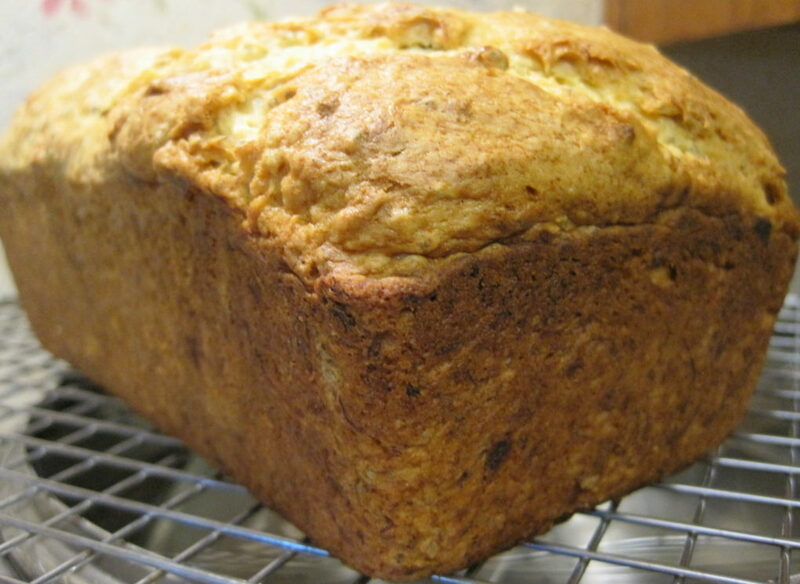 Banana bread is a great way to ensure that bananas that are becoming over ripe and that your family won't eat. 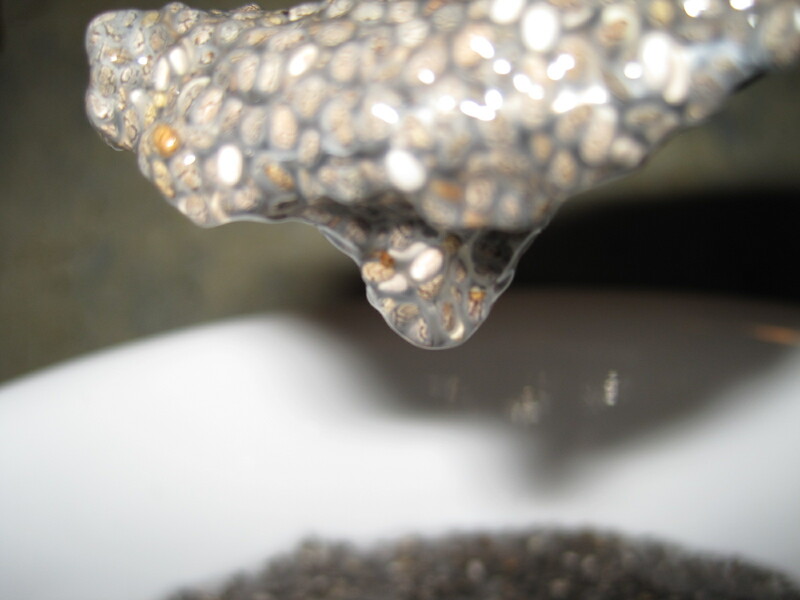 This vegan version uses chia, or flax seed meal, mixed with water in place of eggs. Cook's Note: If your family doesn't like certain textures, I recommend using the flax seed meal eggs. If you prefer to make muffins, divide the batter evenly among 12 cups in a muffin tin and reduce baking time to about 20 minutes. Total cost for this recipe is $1.54 or about about 13 cents per slice of bread. 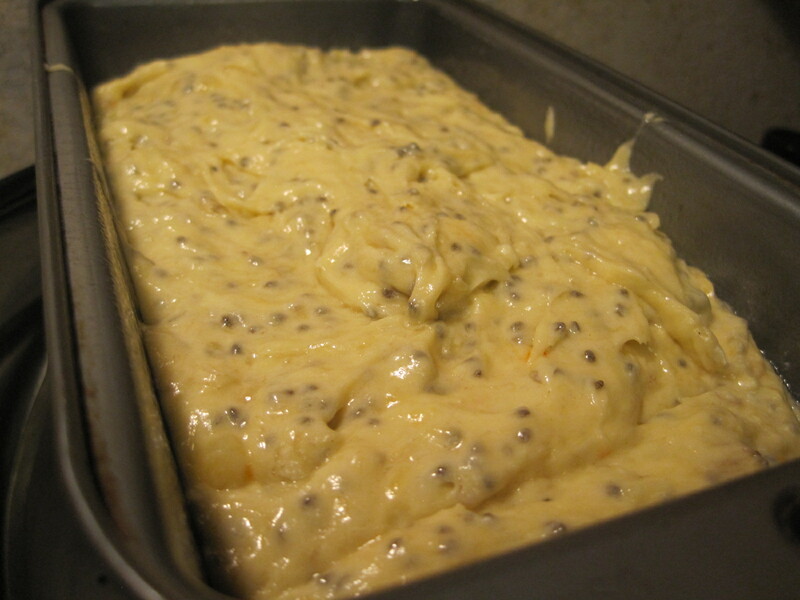 Pour or scrape batter into a prepared loaf pan that has been sprayed with non stick cooking spray. Bake in a 350 degree oven for 45 -55 minutes or until a toothpick inserted in the middle comes out clean. 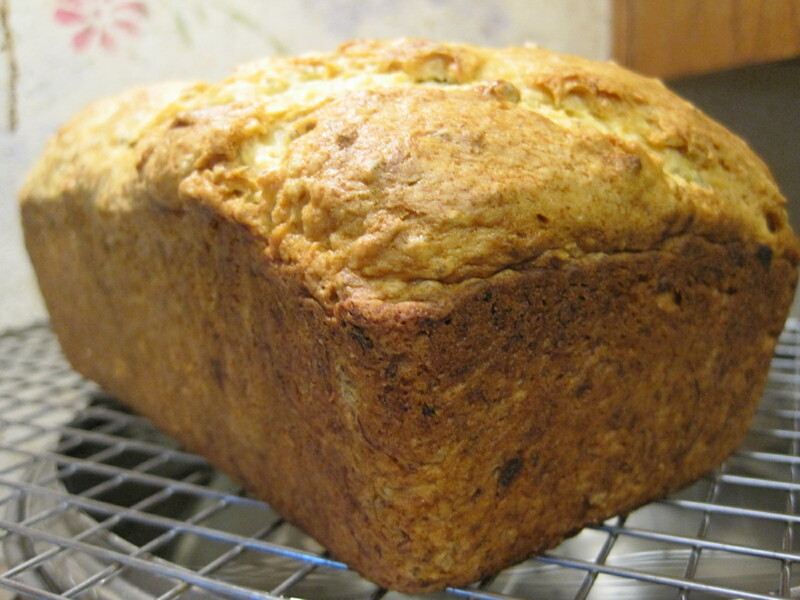 Nutrition information is fore one slice of banana bread (when sliced into 12 equal slices).